A Finnleo® Custom-Cut Sauna will meet your special needs. Custom-Cut Saunas are perfect for new construction or remodeling: residences, hotels, corporate fitness centers, health clubs, apartment buildings. A special design or unique location doesn't mean you have to settle for less. The options are unlimited — innovative use of glass windows and doors, unusual angles, unique bench configurations. With a Finnleo® Custom-Cut Sauna, you can achieve them all. Your design, in partnership with Finnleo® experience and quality, assures unmatched form and function. If you can design it, we can build it. We'll pre-cut the finest materials for your walls and ceiling, we'll pre-build the benches and door — all for final installation on your framed walls. Simply provide the inside dimensions, the door location and your preference for bench configuration — we'll do the rest. Need design assistance to overcome potential challenges? Contact us. We'll provide free recommendations and C.A.D. drawings. 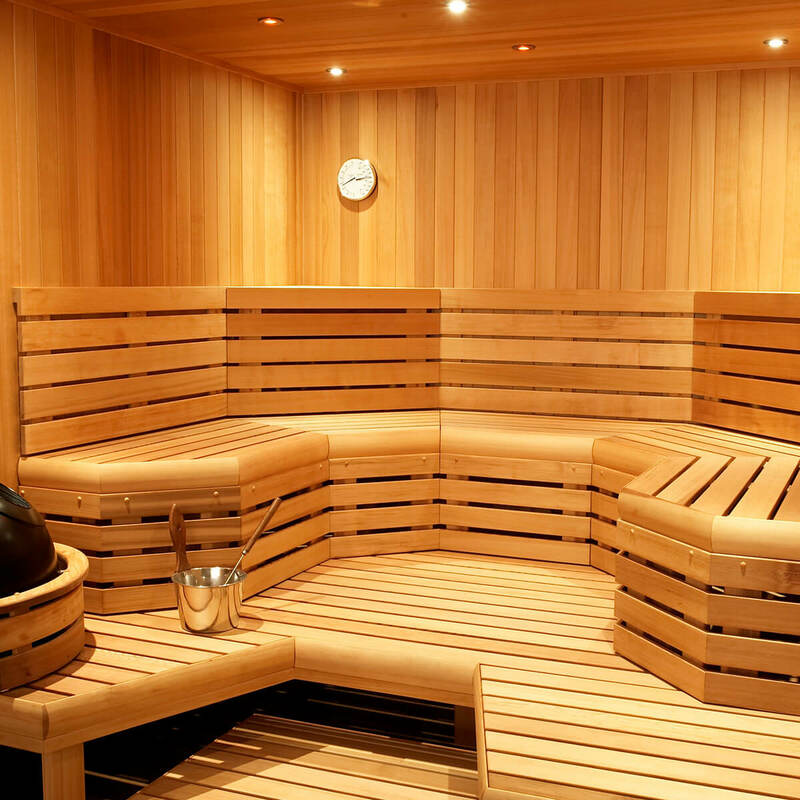 Finnleo® Custom-Cut Saunas are handmade using the highest quality Nordic Whitewoods for the walls and ceiling and Abachi for the benches, backrests, headrests, duckboards and heater guard — just like the finest facilities in Europe. Finnleo® ‘s commitment to detail shows throughout the sauna, particularly in the bench construction. The benches are assembled from the bottom with stainless steel screws. Manufactured in the USA by Finnleo® Choose from six door options, several interior options, and four wood options: Nordic Whitewoods and Abachi — the trademark of Finnleo® Saunas, or clear Western Red Cedar, or Canadian Hemlock with Abachi.